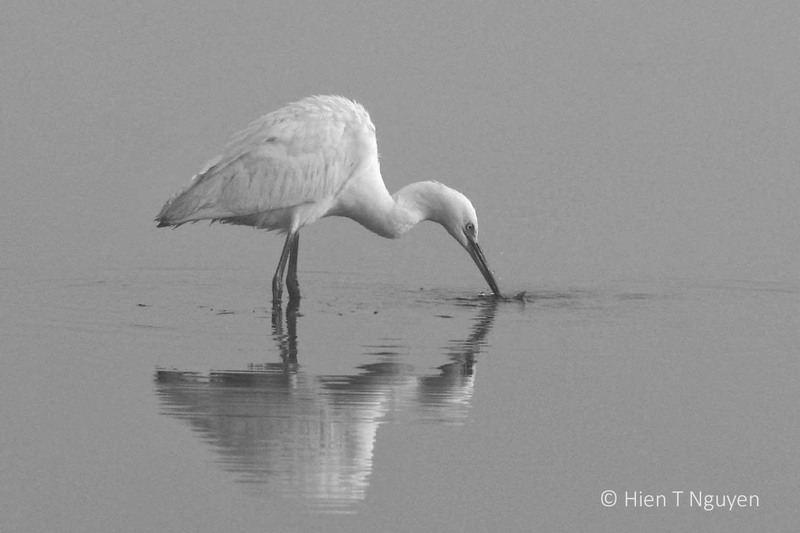 Awesome photos, Hien! Utterly beautiful reflections. Thank you very much, and Happy New Year to you! 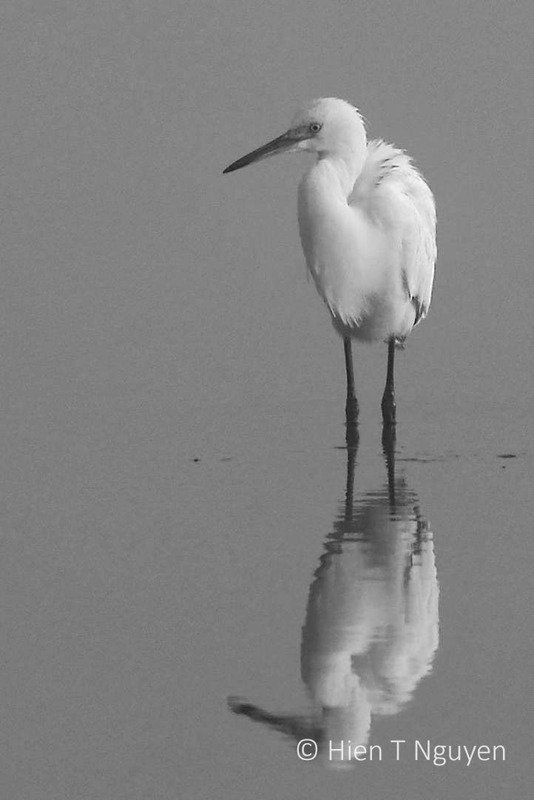 Those reflections are stunning and so effective in black and white. Lovely images. The web is like a delicate art piece. Especially for these photos. Because of the fog, colors were muted, and only black and white remained. Thanks for commenting Amy! Each capture is gorgeous, Hien! It was a good idea to go with the weather, use black and white, photogrpah the birds reacting to the weather, and then spider web – it all tells a story. Yes, that was an auspicious day, despite starting with a thick fog. Very nice photos, Spider web is the best. 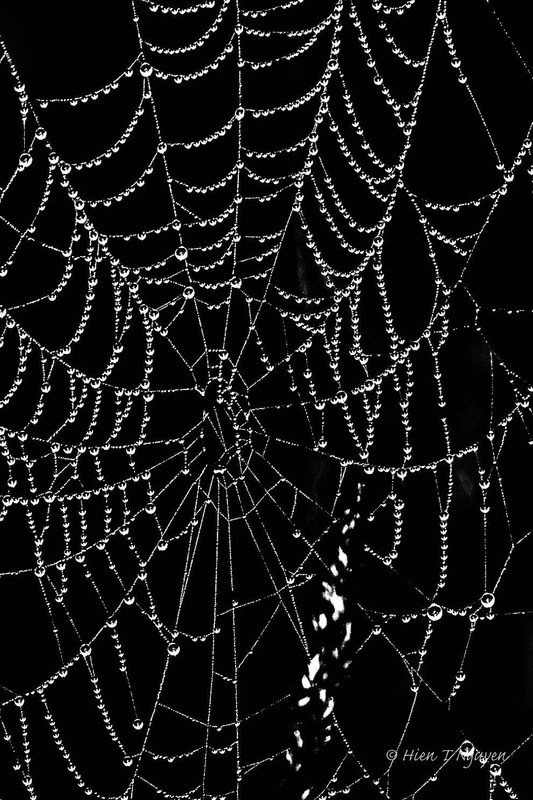 They’re all great, but the dew covered spider web is the winner in this post! Thoroughly enjoyed every photo here, Hien. 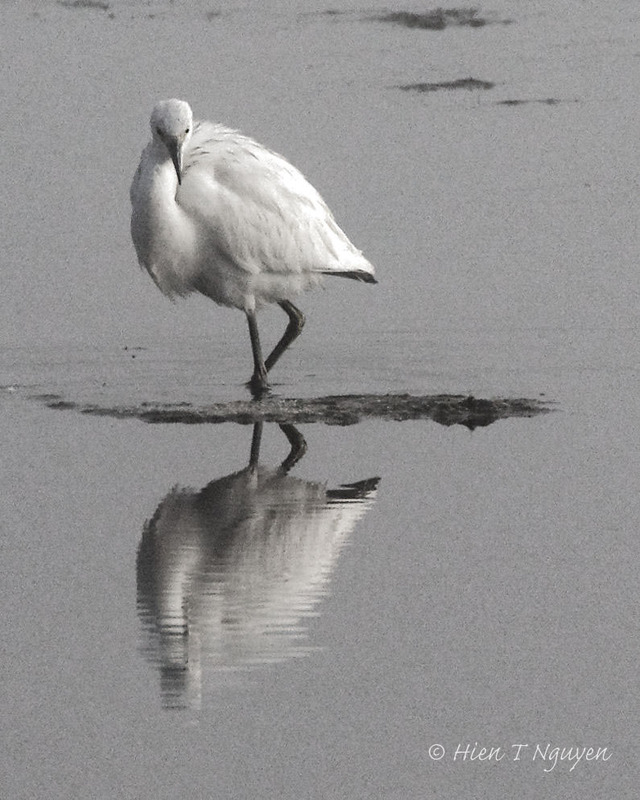 The egrets with the sharp focus and striated reflections are super. But it was the cobweb that took my breath away. Thank you Jet! That web is a favorite of many here. Wishing that glory web for my love. Those last two are especially wonderful!